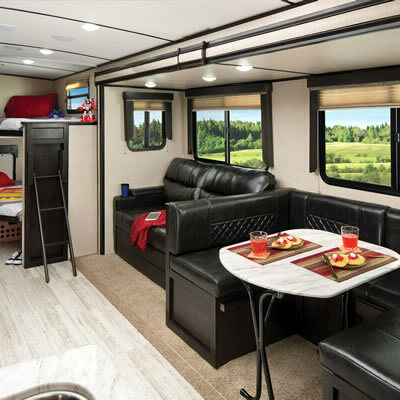 Wetaskiwin is just the right size for an RV traveller; large enough to have plenty of activities and small enough to make for a friendly reception anywhere you go. There are a few gathering places in town where you can take a coffee break and unwind. Beans Coffee Bar & Bistro has it all: stellar specialty coffee, comfortable chairs, Wi-Fi access and a patio where you can sip on a cold beverage in the summertime. You can also order fresh baked goods, soups and sandwiches to sate your appetite. If you want to pair your coffee with a satisfying meal, try the Terracotta Café on for size. This restaurant is a favourite among local foodies; you can have lunch or dinner, and enjoy a java while you peruse the extensive menu. Have a bowl of soup and a sandwich with your coffee at the Main Street Bistro. This family-friendly restaurant offers up fantastic service and quality menu items. To find out more, call 780-352-3506.